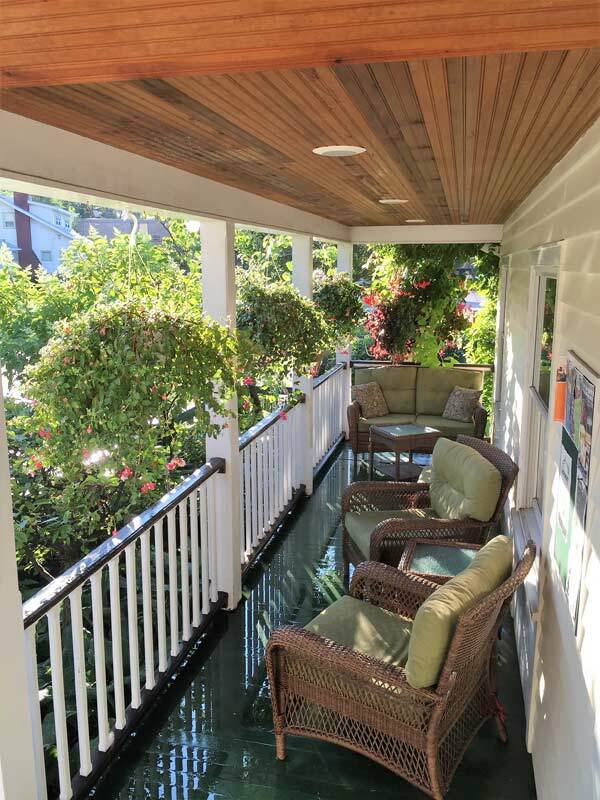 The Wild Goose Inn bed and breakfast was officially opened to receive her first guests in May of 2001. 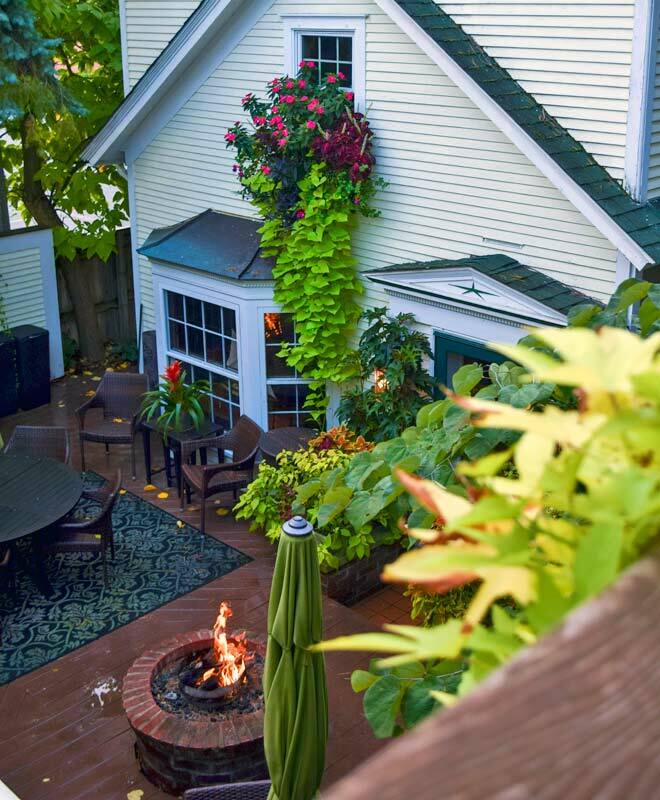 This elegant bed and breakfast in East Lansing, MI, has six luxuriously appointed suites in two houses joined by a communal deck with café tables, umbrellas and a gas fire pit. The living room’s custom craftsman style mahogany furnishings and rich imported rugs create a contemplative and restful environment that will leave you fully renewed and prepared for the personal, educational or business activities that have brought you to the East Lansing area. 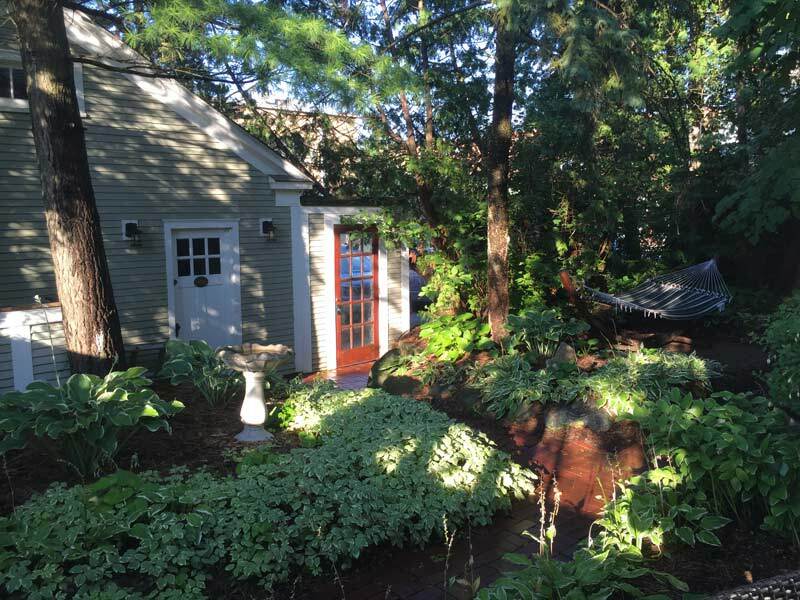 From the moment you arrive at the Wild Goose Inn you know you are in a special place. 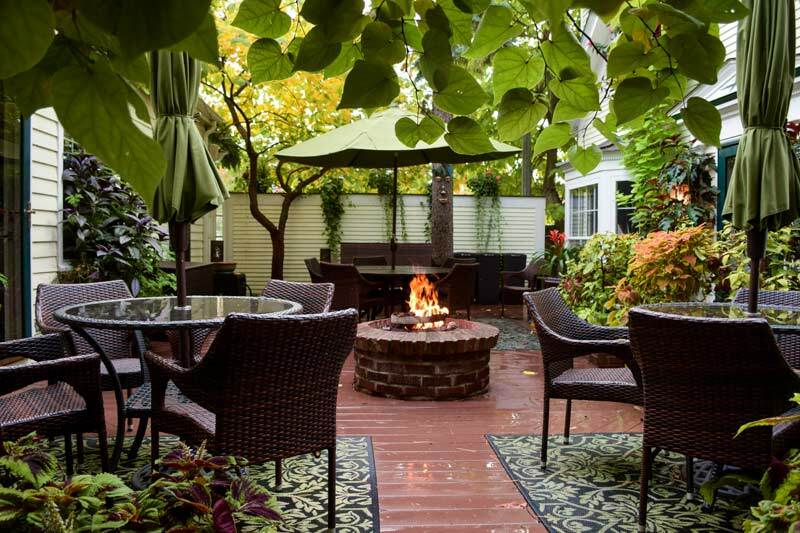 Even though the inn is located in the East Lansing’s downtown, enormous spruce and cedar trees surround the property. It is truly an urban oasis. Take a few steps from the property and experience the bustle of the city center with the unbridled energy of a Big Ten college town. Although this community encourages intellectual pursuits, on game day, when the pencils are down and the Spartan colors are on, East Lansing comes alive with cheering fans and the Spartan Nation gives a new name to fanaticism. When you are looking for a break from downtown’s foot traffic, remember that you are only a few steps away from a “natural wander-land”. 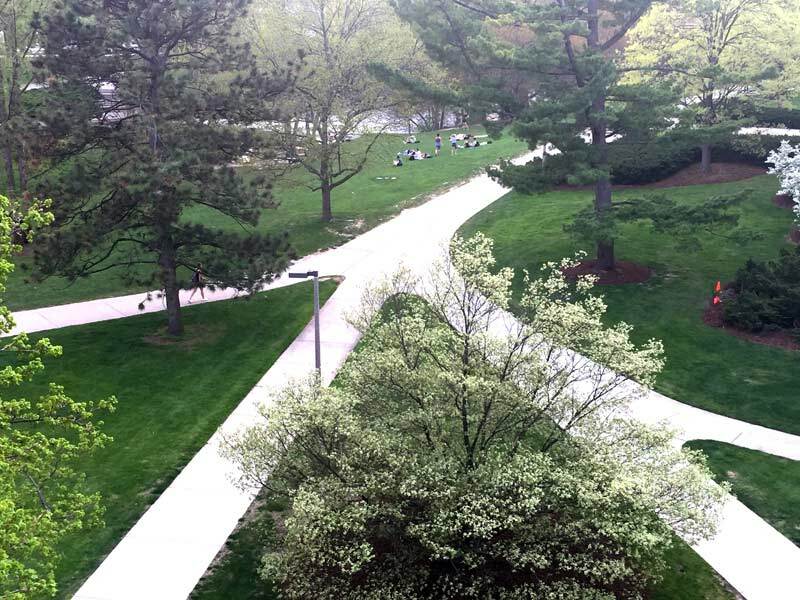 Explore the park-like campus of Michigan State University, relax in the nation’s oldest botanical garden or take a walk along the beautiful Red Cedar River.